Time again to talk flu shots. I can keep this pretty brief. Flu season is from October-April. Most of us know the sgns and symptoms of influenza: high fever, nausea and vomiting, body aches progressing to congestion and cough and (usually) resolution in under 1 week. Complications such as dehydration and pneumonia are not uncommon. A hallmark of influenza infection, I find, is its abrupt onset. I compare it to stepping through a doorway: first you feel well and then suddenly within a few moments–under an hour, usually–you feel feverish and awful. Influenza is a major public health problem. Before dismissing that as relatively unimportant compared to considering your child’s needs(let alone that the flu shot is good for them) too quickly I encourage you to stop and think about parents, grandparents, and other senior loved ones in your world. Recall that immunizing the children protects those folks as well, as previously documented. I currently stock quadrivalent flu vaccines for 6-35 months and > 3 years. “Quadrivalent” means that it covers the 3 traditional strains of flu plus the aggressive H1N1 strain. All are single dose vials so they are free of mercury or any preservatives. These are “inactivated” or “killed” so they are milder and completely incapable of causing infection themselves. I also have a small supply of “flumist” vaccine administered via nasal spray. It is also quadrivalent and preservative free. This version is “live, attenuated” which means it’s nominally stronger but with slightly greater incidence of side effects and has the rare potential to cause the flu itself. It should not be given to immunocompromised individuals or those on aspirin therapy. Optimally almost all healthy people > 6 months old should receive a flu shot with special emphasis for people in categories as noted here. New Jersey state law requires all children attending day care and nursery schools to get flu shots. Less than 9 year old children need a booster one month after the initial dose the first year that they are immunized. Please contact me for questions or comments and thanks for following. Back home in the good old US of A. For the past 10 days I was privileged to participate in Operation Smile”s “Team Haiti 2015.” This was my fourth mission with Op Smile since 2009, the previous 3 having taken place in Peru (twice in Lima and once in Iquitos–“the “Gateway to the Amazon”). Each mission is unique and special, grueling but most rewarding. This time we performed over 60 surgeries on mostly children (but several adults as well) over a 4 day period. 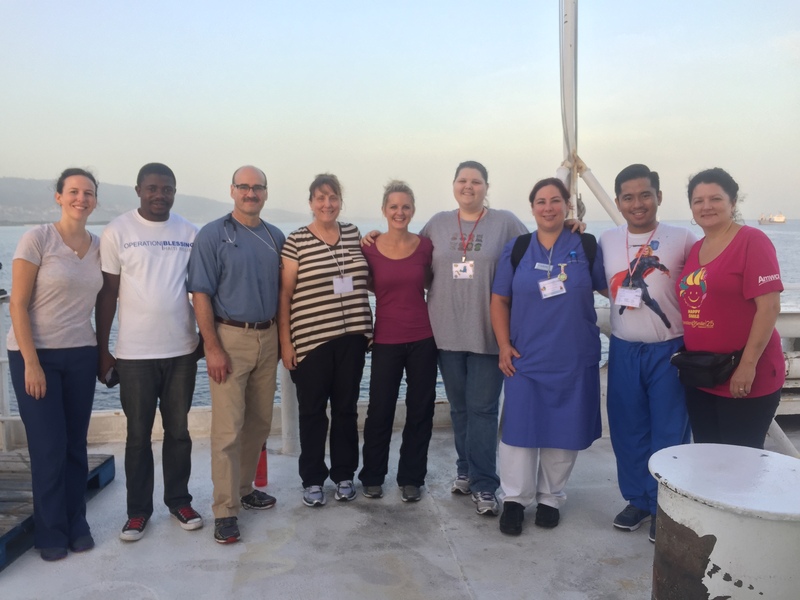 Our 40+ person team consisted of medical and ancillary specialists from many disciplines–pediatrician(me, obviously), pediatric intensivist, plastic surgeons, anesthesiologists, dentist, speech therapy, child psychology, nurses, clerical/medical records support; and from many places–US, Canada, UK, Honduras, Sweden, Italy, France, and, of course, Haiti itself; as well as several young representatives of the organisation itself. Each dedicated person gave maximum effort to teamwork and cooperation so that our efforts for our patients would be a success and I am grateful to each one of them for their selfless efforts (and patience with putting up with the likes of me). My role was preoperative assessment and clearance for surgery and then postoperative stabilization and preparation for discharge back to home; not necessarily as straightforward as at home given 3rd world patients who have many more health risks. 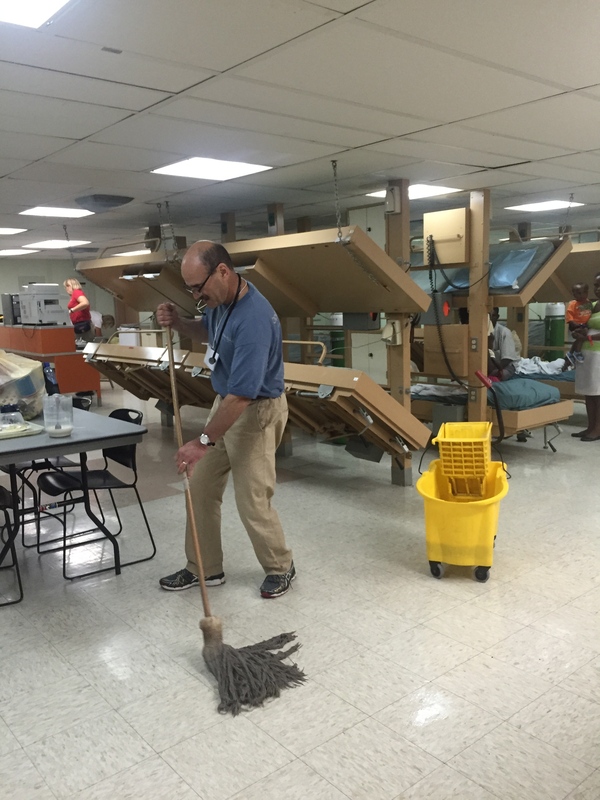 This mission was accomplished in conjunction with the US Navy aboard the USNS “Comfort.” I cannot say enough about the Navy people who worked with us. They were patient, supportive, cheerful. I will admit that, as a civilian, it was a bit disconcerting–in a good way–to hear every sentence end with “ma’am” and “sir.” But they were just great. 5 days on the boat and I was getting a bit punchy and felt a great need to get off. These Navy folks have done 6 months, going all over giving the best medical care to poor people throughout the world. They amaze me and are true heroes. I encourage you all to think of them when you hear someone glibly utter the phrase “support the troops” in the future. Operation Smile was founded in 1982 by Dr. Bill and Kathy Magee. Worldwide, it has helped literally hundreds of thousands of children and adults with cleft lip and palate and related facial deformities. You can learn more about this terrific charity and how you can support it with donations or volunteer work by clicking here and I encourage you all to do so. As for me, I look forward to going back again in the next year or two. 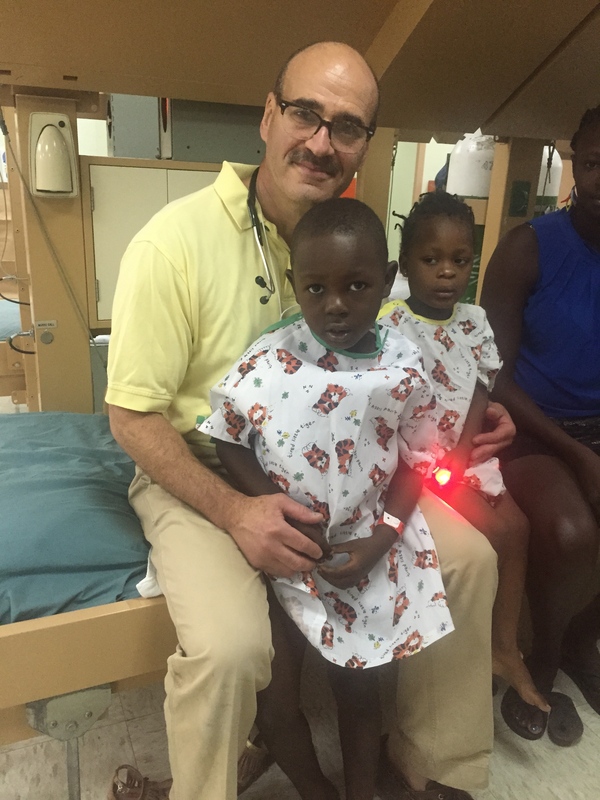 Having the opportunity to make a difference in these poor little kids’ lives is an immense joy and, boiled down, the reason I became a doc in the first place. My dream? Be able to do a mission after brilliant young Dr. Andrew Geneslaw completes his ICU fellowship in 2019 and we can work together. Father/son–what could be better? One of the things I counsel about frequently is choking risk. Choking is the 4th leading cause of death in children and the majority of incidents occur in kids < 5 years. This is because a child’s gag reflex does not mature until she is 4 years old. One child chokes to death every 5 days in the US. Common objects that are a risk are foods, toys, coins, and balloons. There is all kinds of advise available but I can keep it relatively straightforward. Under age 4 avoid nuts, popcorn, chicklets, lifesavers, M+M’s, jellybeans, raw vegetables. I can simplify it further: if you need to use molars to crush the food you are eating–no good. If you can mash the food up between your tongue and palate and then swallow it, it’s probably ok. So pretzel sticks are ok(the dough based pieces will dissolve quickly), popcorn no; soft piece of chicken-yes, hard piece of steak or shrimp-no. You get the idea. With respect to toys, I use a cardboard toilet paper center roll as a guide. If the object in question is of a size and shape that it will slide through the roll in 2 planes–held upright and horizontally–that’s no good, It’s a choking risk. If the object can only fit through the roll in one plane but is too bulky to fit in the other its likely safe. In my office I demonstrate with a pen and the cap: the child can play with the pen but not the cap, which is too small. A few ” special cases”–cut hot dogs lengthwise and then widthwise. Cut grapes into quarters. Keep coins away from toddlers. Hold balloons with your younger child when she blows them up. Endeavor to have your toddler seated and calm when he is eating. I am excited to be joining Operation Smile this week for my 4th mission, this time to Haiti. I’ll be away the next 2 weekends with my “team.” With adequate wi-fi perhaps I can send along updates. I will certainly try. Wish me luck. L’shana Tovah to my Jewish patients! !